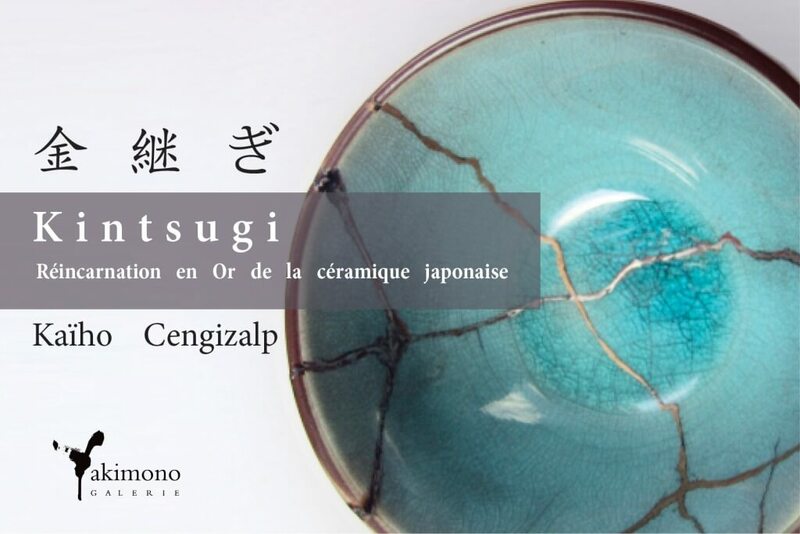 As a result of the Kintsugi Art Exhibition, we are delighted to welcome your broken ceramic pieces for repair using the Kintsugi method. The restoration will be carried out by Mr Frank Kaiho, an expert in this Japanese technique. Opening hours : Tuesday to Saturday, from 1pm to 6pm. Kintsugi, is an art form, which is still relatively unknown in France, it literally means “golden joinery”. Kintsugi, also known as gold lacquer, consists of repairing the broken ceramics using a lacquer dusted with powdered gold. The story goes, that this Japanese technique was invented around the 15th century, when Shogun Ashikaga sent a damaged Chinese bowl back to China for repair. When it was returned, it had been repaired with ugly metal staples, the Japanese craftsmen developed a more stylish method.Highly appreciated by the Japanese Chajin (participants in the Japanese tea ceremony) the art of Kintsugi allowed the development of a new aesthetic in order to raise the aesthetic level of pieces by developing the idea of reincarnation, thus giving a new dimension and a rebirth to the original item. Collectors at that time, fell in love with this new art form, so much so, that they were accused of deliberately breaking valuable items so that they could be repaired using the gold lacquer of Kintsugi.